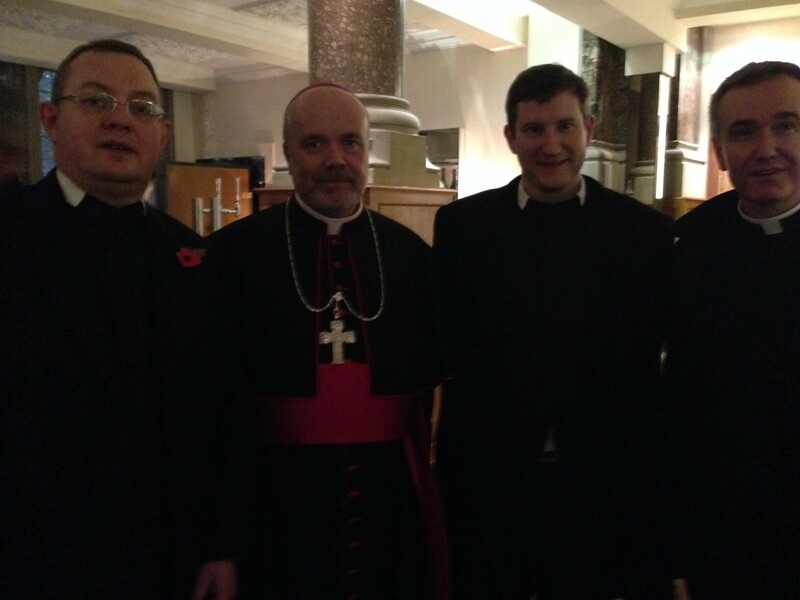 Fr Daniel, Fr Dominic and Fr Richard were all at Leeds Cathedral last Thursday to support Bishop Marcus Stock as he was ordained as the new Bishop of Leeds. 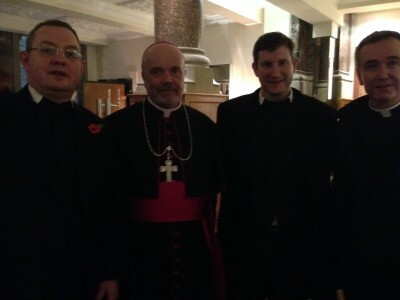 Cardinal Vincent Nichols was the principal co-consecrator together with Archbishop Arthur Roche, Bishop Emeritus of Leeds and our own Archbishop Bernard Longley, the Archbishop of Birmingham. Archbishop Malcolm McMahon OP, Archbishop of Liverpool and Metropolitan of the Northern Province, was the preacher at the inspiring Mass. Bishop Marcus has been a friend of the Birmingham and Oxford Oratories for many years, and was the last diocesan priest to look after the parish of St Aloysius, in the last fortnight before the Fathers of the Oratory arrived in 1990. Please keep the new bishop and his diocese in your prayers as he begins this important work of service to the Church.